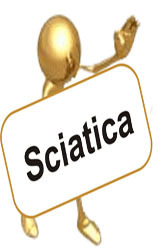 Sciatica is a set of symptoms including pain that may be caused by general compression and/or irritation of one of five spinal nerve roots that give rise to each sciatic nerve, or by compression or irritation of the left or right or both sciatic nerves. The pain is felt in the lower back, buttock, and/or various parts of the leg and foot. In addition to pain, which is sometimes severe, there may be numbness, muscular weakness, pins and needles or tingling and difficulty in moving or controlling the leg. 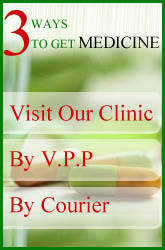 Typically, the symptoms are only felt on one side of the body. Pain can be severe in prolonged exposure to cold weather. Although sciatica is a relatively common form of low back pain and leg pain, the true meaning of the term is often misunderstood. Sciatica is a set of symptoms rather than a diagnosis for what is irritating the root of the nerve, causing the pain. This point is important, because treatment for sciatica or sciatic symptoms will often be different, depending upon the underlying cause of the symptoms. Sciatica pain is generally seen in people who need to spend long amounts of time sitting or standing and bad posture and lack of muscle movement causes the muscles to constrict or be irritated causing pain. It can even be bought on by hard sneezes, coughing fits and lifting something, these activities may cause pressure on the spine and thus it may irritate the radicular nerve by extending beyond its normal position. Firstly we have Herniated Discs which is sciatica caused by the pressure from a herniated or protruding disc on the sciatic nerve. A herniated disc is simply a disc that has been displaced due to external pressure from an accident or by constant pressure due to muscle imbalance. This can be the cause for sciatic pain but it is equally important to note that many people with herniated discs may not experience any pain at all. Spinal Stenosis is the narrowing or constriction of the space in the spinal canal causing muscle imbalances that tug at your hip and spine and cause them to become positioned awkwardly causing an irritation due to constant contact and pressuring the sciatic nerve. In advanced spinal osteoarthritis, a bit of cartilage may break away and become mobile in the spinal area and become a reason of irritation and inflammation which when occurring in the lower back region may develop into sciatica by putting undue pressure on the sciatic nerve. This is also called in degenerative disc disease. If a vertebra slips over the other, which is commonly called as slipped disc or Spondylolisthesis the skewed vertebra could pressurize the sciatic nerve. Sciatica Symptoms: The most common signs and symptoms of sciatica are pain in the lower extremities of the body especially starting at the base of the spine and routing downwards along the path of the sciatic nerve or nerve root to the pelvic region, buttocks, thighs, back of the legs and foot. This pain may be a slight nuisance pain that can be a tingling pain or even a burning sensation and numbness that can vary in intensity and also be constant or intermittent developing gradually, making it hard to detect always. Sciatica usually occurs only on one side of the body. Consuming raw garlic or taking garlic supplements with along with additional supplements of vitamin B1 and B-complex gives relief from aches and pains, aids circulation, is an anti-oxidant and also provides the body with warmth and energy. Some claim that garlic milk also can be an excellent sciatica home treatment. Just mince two cloves of garlic in about ½ a cup of milk and drink this concoction twice daily and the results can be seen in just a week’s time. However, care must be taken to avoid garlic if you are taking any other medication like anticoagulants, if you have any bleeding disorders or ulcers and take the advice of your doctor before taking garlic supplements. Water is one of the best natural treatment options for sciatica pain relief. Water can help to bring down pain by improving circulation. Taking long hot bath or a shower and following it up with a short cold shower is said to boost the body’s circulation and reduce pain. Taking hot and cold compresses too is equally beneficial. sleeping on a firm mattress, sitting and standing in a good posture, avoiding lifting heavy loads should be a part of everyday care that must be taken. It is these small things that cause sciatica over a period of time. Sciatica patients must be given luke warm enema for few days to cleanse the bowels. Intake of 5gm of ashwagandha with warm milk good in sciatica. Sauth, suranjaan, ashwagandha mixture powder to be taken with hot milk in the morning is very effective in joint pain.